We proudly offer quality industrial repair services. No matter the repair challenge, TigerTek will be able to offer you a quality, fast and cost effective solution. 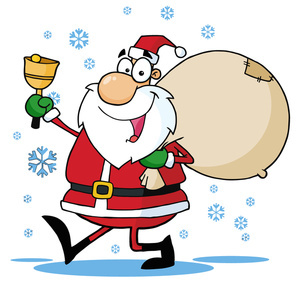 Quotes and pickups are FREE. The New Test Panel is HERE! This year TigerTek purchased a 750 KVA Test Panel. 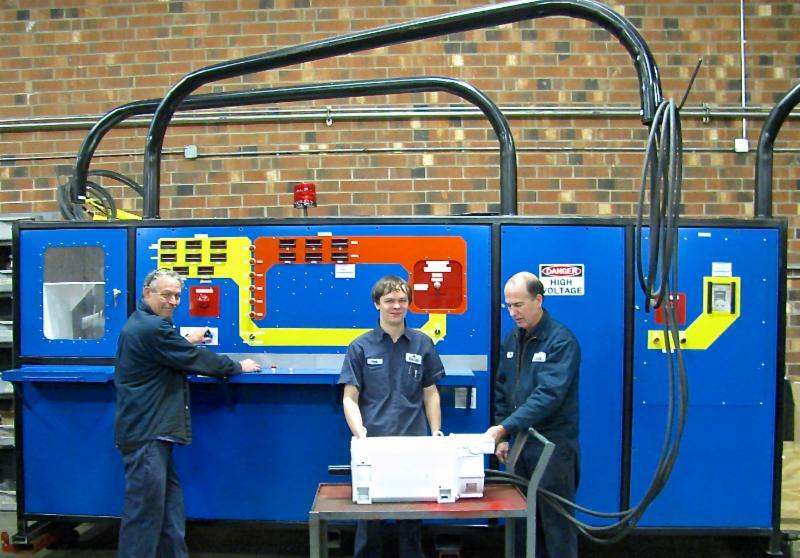 This custom built test panel can run-test electric motors up to 4,000hp, and full dynomometer test up to 600hp. No other repair center in central NC, nor southern VA can offer comparable testing. This panel continues TigerTek's major capital investment in being the areas most advanced industrial repair center. The panel can handle both low voltage (230/460/575) as well as medium voltage (2300/4160). When your plant machinery needs repair - you can count on TigerTek! Do you want to save money? We mean LOTS of money! 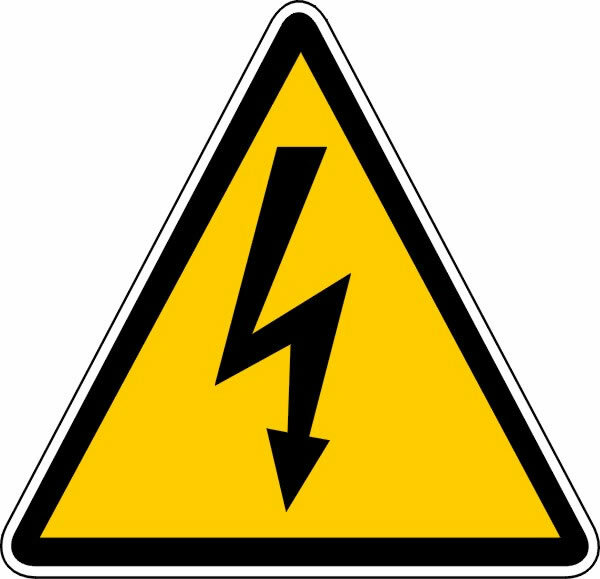 Electricity is one of the major expenses in any plant, and typically 60% to 90% of a plants electrical usage comes from electric motor usage. So that's where you really need to focus. The key technical word is "EFFICIENCY" which measures how much electricity is converted to mechanical energy and not lost to heat, friction, etc. The initial cost of an electric motor is only about 2% of its life cost, and an unqualified repair center can quickly ruin a perfectly good motor. So - you should always buy the most efficient motor possible, or select a qualified repair center that can guarantee zero efficiency loss after repair. It's an easy way to slash your monthly electrical bills! How should we store our Electric Motors? 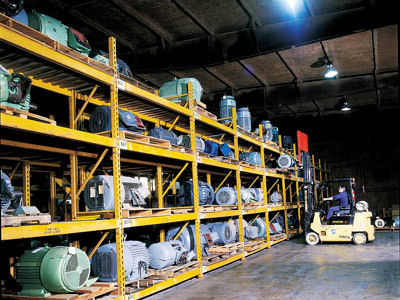 Most maintenance departments have lots of spare electric motors stored for emergency use. Probably many of them have sat on shelves for years. We recently published an article which provides many helpful tips on how to ensure that they are ready for use when you need them. the TigerTek Repair Center the best in the business! The National EASA (Electrical Apparatus Service Association) conference was recently held in Las Vegas. 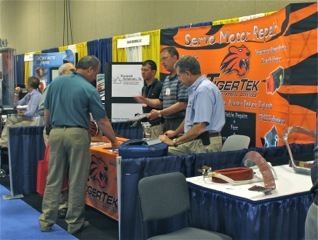 TigerTek exhibited our SERVO MOTOR REPAIR capabilities. If you weren't able to meet us, we encourage you to take a look at some photos of our repair operations.